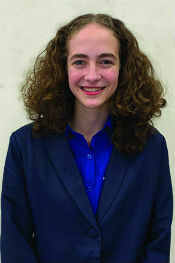 Each spring, PA-TSA students elect a team of State Officers to help lead the organization. This year’s candidates for State Office, and their written statements, are listed below. Campaigns and elections will take place during the state conference in April, and the elected officers will serve from July 2019 to July 2020. Two additional positions, Historian and Parliamentarian, will be filled through appointment by the newly elected officers. Let’s be honest. If you’re reading this, you care about TSA. Because there aren’t too many people besides the candidates themselves who actually take the time to learn about who’s running for office before we get to the conference. I’m writing this for you, the member who cares. If you frequent this page, you may know who I am but let me take a minute to introduce myself anyway. I’m Sam Catania, your current state Reporter, and I’m running to be your state President. Building on the strong success of my promises from last year, I encourage you to vote for me to see more great changes come to PA-TSA. Over the past year, I’ve gotten a lot done as a state officer. We replaced the PA-Post, I’ve scheduled both an online and in-person town hall, and our social media presence is stronger than ever. Through my Website Initiatives Special Committee, we’ve even progressed on redesigning the state website. Next year, I’d like to build on the successes of the current year. If we can have two town halls, why not more? The State Officer Blog is a significant improvement from the post, but there is still progress to be had. And this is just the tip of the iceberg. Pennsylvania, I’ve spent this year keeping promises and getting things done. I’d be honored to serve you another year. I wish you all the best of luck in your events, and can’t wait to see you in Champion, PA!!! Hey, PA-TSA! My name is Jonah Proepper and I am running to be your 2019-20 State President. Over this past year, I’ve had the honor of serving as your State Treasurer, and was able to make my promises a reality. I worked with the National Service Project Committee to implement several ACS fundraisers into our regional conferences, raising over $2,100! I also organized a reserved seating incentive for ACS fundraising and made progress on revamping the Event Resources tab on our website. As your State President, I will make it my goal to bridge the gap between officer responsibilities and membership involvement. First, I’ve noticed that many officer teams create Q&A videos answering questions from members regarding their lives outside of TSA. By implementing this, our state officer team can foster connections with members. Next, I’d like to use the new PA Blog to increase member involvement. I plan to hold monthly contests, where members will be able to submit a blog post for a chance to be featured. The blog is also the perfect platform to expand the featured chapter initiative I introduced in the past year. Along with increasing member involvement on social media, I’d like to introduce interactive student workshops into next year’s state and regional conferences. Members will be able to present workshops from a wide variety of topics, which will provide a refreshing addition to the conferences. When the time comes to cast your ballot, remember to vote the Proepper choice for President! Hello PA-TSA, my name is Wesley Dellinger. I am running for the office of Vice-President because I believe that when elected, I will have the ability to improve every aspect of Pennsylvania TSA. I have had a multitude of leadership positions in the past, many of which, TSA officer positions. For example, I have been an officer in my school’s chapter every year that I have been in TSA, and this year I served as the PA-TSA region three president. 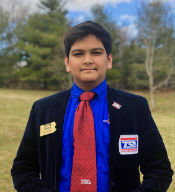 I have been passionate about TSA since joining in middle school, and I have made TSA competitions and leadership positions among my top priorities. Three years ago, I was sitting in my chair at the state conference during the opening ceremony, watching as the officer team walked across the stage and waved at all the PA-TSA members. I saw that they all had the ability to help make Pennsylvania TSA thrive, and as I continued through the years, I decided that I wanted to be a part of making TSA a flourishing association. When elected, my main priority is to make the event rules and rubrics more clear to understand and easily accessible for all TSA members. I also want to give more support to smaller chapters, especially chapters just starting out. In summation, I not only believe that I am qualified to be state Vice-President, but also that Pennsylvania TSA will prosper under my leadership. Thank you for considering me for state vice-president. Remember, vote “YES!” for Wes! Greetings, PA-TSA! As we are approaching the time when “it can wait one more week” turns into “I can stay up one more hour”, it’s time to start dusting off our events. Now that I have successfully stressed you out, allow me to introduce myself! My name is Charisma Hasan and it is my pleasure to be a candidate for your 2019-2020 State Vice President. While I cannot promise to add five more hours to the day before states, I can promise that I am your best choice to work for you next year. As a Lead Regional Representative, I have been able to witness the best of what TSA members are capable of. Not only are we incredible at Super Smash Bros, but are also capable of raising $2000 collectively, in just one minute. With such success in its inaugural year, as next year’s Vice President, I’d be sure to continue the exponential growth in the Regional Representatives committee. I’m also looking to enhance the STEM student experience outside of TSA and collaborate with nearby state delegations. In wise words: To know one, you must first walk a mile in her black, Class-A approved high heels—with this, I invite you to learn a little more about me and my campaign in the short time we have together. I am looking forward to showing you my vision of what PA-TSA can, and should, be in the coming years. Until then, I wish you all the best of luck and sleep! Hi PA-TSA. 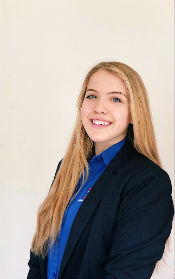 I’m Cayce Becker and I am honored to run to be your 2019-2020 PA-TSA Secretary. I am running for state office because my new ideas and fresh perspective will help PA-TSA thrive. I am running for secretary because communicating with others and the public is my strong suit. I take copious notes and will keep accurate minutes. My perseverance, people skills, organization, and drive will be assets to the state officer team. As an officer in several organizations, including Chapter President, I know how to work well on a team and lead others in committee environments. As Secretary, my energy and drive will get things done and help the corporate outreach committee connect with more outside organizations. I will help members develop leadership skills and make connections with potential sponsors. My goal will be to get more members interested and involved and make them feel welcome in committees. I will increase communication between the state and members, provide resources for new members and chapters, and help chapters with corporate outreach. To increase communication with members, I will organize monthly town hall meetings where members can ask questions and officers can update members on important initiatives, like corporate outreach. To help chapters reach out to corporate sponsors I will create a resources page with the corporate outreach committee. I am so excited to meet you all at States and wish you luck on your events. Feel free to contact me with any questions at caycebecker04 [at] gmail.com. Hello PATSA! 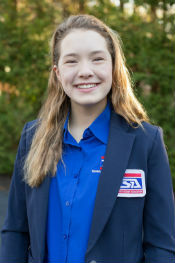 My name is Zoe Sweet, and this is my fifth year in TSA. TSA changed my life from the second I joined, and I am so thrilled to have the honor of running for the office of Secretary this year. Just so you can get to know me more, I am a Sophomore at Daniel Boone High School, and I have held officer positions in multiple different clubs. Some of those positions include President, Vice President, Secretary, Sergeant-At-Arms, Historian, and Parliamentarian. At my church, I am a Sunday School teacher and I am the Nursery coordinator. I am also on the Boyertown Salvation Army Advisory Board where my main job is to manage the Instagram page. This is my fifth year attending states, and I love to watch this outstanding organization grow. My biggest TSA accomplishment is starting the Problem Solving Special Interest Session. If I get elected this year, I want to make my dreams a reality by obtaining more sponsors for winners of specific competitions and updating the online event gallery. I am so excited to be at states again this year to meet new people and see old friends. Do not be afraid to stop me in the hallways to ask about my qualifications and my plans for TSA as PATSA State Secretary. Good luck at states this year! My name is Emily Wright, and I’m incredibly excited to be a candidate for your next State Secretary. I’ve had a great year serving as your State Parliamentarian, and I’m looking forward to an even greater state conference! One of the most important responsibilities of PA-TSA’s secretary is to lead our membership in outreach initiatives. With this in mind, my goals for next year are completely centered upon developing resources for our members to bring the skills we use in our events to areas outside the realm of competition. I want to reform our list of academic opportunities (scholarships, internships, etc) to suit your specific goals, and I hope you’ll join me in supporting my campaign to cultivate this network. If you’ve taken the time to read this far, I thank you, but go back to finishing (or starting) your events! I can’t wait to see you all at states, good luck in your competitions, and make sure to say hi at stag pass! What’s up, PA-TSA! My name is Evan Grove, and I am running to be your 2019-20 State Treasurer. Since I joined this outstanding organization, I’ve continuously been impressed by the community of dedicated members. This inspired me to further my involvement in PA-TSA at the state level. Currently, I am serving as Vice Chair of the Communications and Promotions Committee and am a member of the National Service Project Committee. Through these experiences, I’ve discovered aspects of PA-TSA that can be improved. First, to encourage chapters to raise money for the ACS, I will work to implement a VIP Room at states that will be offered to chapters who raise over $150. This room will feature a movie, as well as a few activities and snacks for members to enjoy towards the beginning of the conference. Second, in order to combat the lofty price of TSA apparel, I plan to execute a program where graduating TSA members could donate their blazers, shirts, and pants for new members. Coming from a smaller chapter, it’s truly disheartening that some members are turned away by such high prices, but with this system, this issue would practically disappear. Lastly, to further the successful actions of last years officer team, I plan to add several fundraising initiatives at regionals. Events such as Miracle Minute have proved to be extraordinarily successful, and I believe we can expand upon this success with more fundraising opportunities. Remember PA-TSA, let’s get our engines revvin’ by voting for Evan! I choose to run for the position of treasurer because of my abilities mathematically as well as with being a natural leader. I have served as my high school class treasurer for two years and will be campaigning for a third term once we get closer to the end of my junior year. This position has given me basic understanding of the duties a school organization treasurer likely is tasked with I also choose treasurer because it gives me a platform to promote a great cause like the American Cancer Society and allows my fundraising experience to be utilized. Regardless of what position people choose to run for, I think you should be a natural leader and be willing to innovate through your personal ideas as well as those of others and I believe that my skills and abilities will allow me to do just that. Hey PA-TSA! 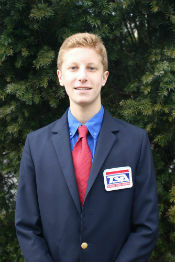 I’m Benny Moldovsky and I have the honor to run to be your next PA-TSA Treasurer. Since my TSA career in 6th grade, I was ecstatic about the association and everything to do with it. Since then, I’ve held three chapter positions including Secretary, Vice President, and, currently, President. This year, I also had the pleasure of running multiple chapter fundraisers including a Movie Night. My experiences in the last view years has shaped me into the right candidate for Treasurer. At the state level, my work in five of the state committees has taught me how to execute ideas and the PA-TSA process of implementation which will help me triumph as Treasurer. The skills I’ve learned will also reinforce my potential as an State Officer. My first idea for PA-TSA is to hold online workshops to help fundraising efforts at a chapter level. This idea will help chapters fundraise while also raising money for ACS locally. My second idea is to create a new award to encourage the learning of TSA’s past and present story and TSA concepts. This award will be given to highest score on a test that assesses a member’s knowledge of TSA topics. Currently, Oklahoma TSA successfully employs this award at three different levels. I’d like to implement a similar concept for PA-TSA to promote TSA pride and TSA history. 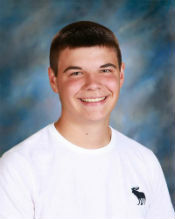 I can’t wait to see you at the state conference and remember I’m Benny Moldovsky and we are going to MOLD our future! Hi PA-TSA! My name is Meysoon Quraishi and I am running to be your 2019-2020 State Treasurer. I have been in TSA for three years now, and I have loved sharing its many virtues with my peers. I have served as my chapters president since 2016 as well as served as your state historian from 2017-2018. 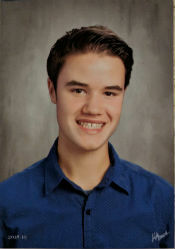 I currently serve as a key club executive and have organized countless events benefiting charities such as the American Cancer Society and Make a Wish. As a member of TSA, I want to help this organization reach its full potential. While serving as your state treasurer I plan on implementing ideas to benefit you. In years past, we have not fully utilised corporate sponsors to benefit our members. Corporate sponsors are the best way to get the community involved in TSA while simultaneously helping members. Sponsors can provide not only resources, but opportunities for students like you. For example, supplies for your events or money to send deserving students to conferences. I would love to implement incentives for chapters to raise money for ACS, as well as raise money for their organizations. In addition, the fundraising page on the website is relatively limited. PATSA should reach out to other states as well as chapters within the state so everyone can share their fundraising techniques. This could include creating a forum to post templates for various fundraising materials to help individual chapters thrive. I’ll see you guys at states. Remember, vote Meysoon Quraishi for Treasurer. Hello PA-TSA!! My name is Nicholas Regos and I am seeking your approval to serve as your next State Treasurer. This year I served as a member of the National Service Project Committee and as the Region 8 Lead Representative on the Regional Representatives Committee. If elected, I plan to help chapters hold fundraisers to raise money to both attend conferences and to donate to the American Cancer Society. If elected to serve as State Treasurer I will work with the officer team to help expand the fundraisers that we already hold at the state conference. I plan to create fun ways to raise money for the American Cancer Society while you are at the state conference. Fundraising is one of the largest endeavours of a PA-TSA chapter. There is always money to be tallied and orders to be sorted. If chosen as your next State Treasurer I will work to expand the Chapter Fundraising tab on the PA-TSA website. Here I will expand the page to have detailed information on how to plan a successful fundraiser. I also plan to add a section where chapter advisors can submit the fundraisers that they find successful.This will allow chapter advisors and chapter treasurers to brainstorm on what may work for them at their school. Hey PATSA! My name is Dhaval Sharma, and I’m running for State Treasurer. Currently, at my high school, I am part of four different academic clubs. Within these clubs, I’ve seen different leadership strategies and ideas which have helped improve clubs. With my background as a leader in my Karate Dojo, I have experience with avid brainstorming and time management. I was part of the Conference Session and Activities Committee last year, have helped plan out the Trivia Night and Problem Solving Session, and am currently part of the National Service Project Committee. When I started TSA four years ago, I fell in love with the club and everything it had to offer. From the wide variety of events to the amazing places I got to explore, TSA has given me much to look forward to. Now it’s time for me to give back. Throughout all of the competitions I have participated in, I have seen how the leaders of TSA help improve this club. I have engaged in my chapter’s fundraising activities, assisted in community service programs, and provided assistance to my middle school’s chapter. Now, I have decided that I will take my initiatives to a greater level. As the next State Treasurer, I will carry out my ideas, including improved printing stations, more fundraising assistance to chapters, and easier ways of communication between the students and officers, to make this club even better than it already is. A vote for Dhaval is a vote for All! Hey PA-TSA! 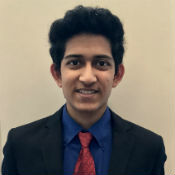 My name is Dhruv Agarwal and I am running to be your 2019-2020 State Reporter. This past year, I was honored to serve as your State Historian! I developed many new initiatives and co-chaired the biggest committee in PA-TSA history! I started a graphic design team and created a more effective platform for our social media pages. On top of this, I assisted in the creation of the PA-Blog, getting more Alumni involved in TSA, and bringing more innovations to the state conference. I have been hard at work implementing ways to improve our state delegation and want to continue to serve as your next Reporter. As Reporter, I’d strive to create a more adequate way to communicate your ideas and accomplishments to the rest of the membership. I would use the newly created PA-Blog to more effectively communicate with the rest of PA. This would include more member representation within the PA-Blog to show the rest of TSA the awesome things our chapters are working on. Another idea I have for PA is to establish a National Outreach Committee. The Committee would focus on collaborating with other states involved in TSA. This would benefit PA because we would able to create collaborations with other state officer teams and help benefit us by getting new ideas for our state conference! Let us make our ideas a reality because if you can Dream it, we can Dhruv it! Hello fellow PA-TSA members! I hope everyone had a successful Regional conference! My name is Megan Cooper, and I am ecstatic to be running for the office of State Reporter for this upcoming school year. 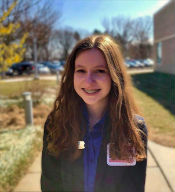 From my first Regional Conference in seventh grade, I was immediately intrigued by not only the plethora of event options but also the positive environment and attitudes of the TSA members. During the past couple of months, I have had the opportunity to work with members of the Website Initiatives Committee and the Communications and Promotions Committee. Through this experience, I have gained useful knowledge and insight that has helped me formulate ideas on how to better PA-TSA as a whole. As Reporter, my main platform will be expanding the new State Officer Blog. At the moment, the Blog offers advice and resources from the current SOT. 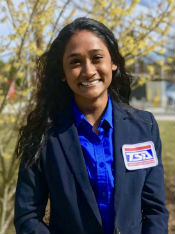 I’d love to extend the perspectives to members of PA-TSA and utilize it as a platform to recognize chapters that have made exceptional efforts in TSA. Moreover, I will work on improving the communication between the State and the chapters by keeping the social media platforms up to date. As of my qualifications, I possess a variety of traits that will allow me to excel in this position. I am an experienced writer and photographer, as I am currently a member of my school’s newspaper team. Additionally, I am meticulous and diligent when it comes to assignments or projects that I am working on. Good luck on finishing all of your events, and as always, I cannot wait to talk to everyone at the State Conference! I have a particular interest in the PA TSA State Reporter position because of my interests in communication and social media. I compete on a competitive VEX Robotics team, and a few of my duties on the team include judging preparer and social media manager. As the team’s designated judging preparer, I have the responsibility to prepare a presentation based on our team and the robot we built in order to compete that the team then has to give to a group of judges in order to decide the placement for some specific awards. This role has given me an interest in communications with both my teammates and authority figures. Along with this, as the manager of the team’s social media, I have the responsibility of keeping up our team Instagram page, keeping up our public image and making relations with other teams who also have Instagram pages. This role has given me even more experience in the field of communications by exposing me to new outlets of communication and getting me more invested within the field. Although these are the two biggest experiences that I have had within the field of communications that have given me an interest in the field, there are a few more key roles that I have played within my high school career that go along with this field. These include experiences such as participating in my school’s theater program and attending seminars used to teach me the key components to being a good communicator. Hello PA-TSA! 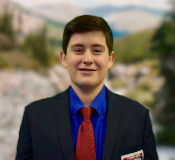 My name is Elliot Ginzburg and I want to be your 2019-2020 Sergeant-at-Arms. 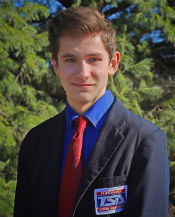 I am running because of my commitment to PA-TSA and my interest in making the State Conference more entertaining and exciting than it has ever been. Through my involvement with PA-TSA over the last five years, I have seen that this organization has tremendous untapped potential to teach, assist, and lead all members of PA-TSA through STEM sessions and activities. As Sergeant-at-Arms, I will deliver on my promises with one main focus — assisting all PA-TSA members to be successful in their events. My first proposal is to implement a process for members to receive completed scoring rubrics from their events so that the judging process becomes more transparent for all. Second, I will create surveys on questions regarding events and LEAP that will be answered through bi-weekly website posts and video sessions. Third, I will hold special interest sessions that show members how to be successful in TSA events by using hands-on activities to demonstrate aspects of events with which students often struggle. TSA has taught me the importance of working together to achieve success. TSA has shown me what can be accomplished through effective leadership. TSA has inspired me to take the stage as your candidate for Sergeant-at-Arms. PA-TSA, with your support, I look forward to showing you my plans for PA-TSA’s future. Together, with a strong agenda, we can get much accomplished. Remember when voting, Get it Done with Ginzburg. Hello PA-TSA! 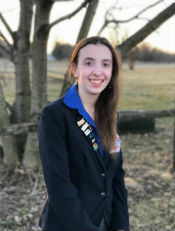 My name is Madison Martin, and I’m running to become your 2019-2020 state Sergeant at Arms. After I began TSA, I knew that it was the club for me. I enjoy competing and helping out my chapter. I’m currently serving as my chapter president - as a freshman - and I’m loving the role! As your Sergeant at Arms, one of my duties is to co-chair the CSAC committee. While on that committee, I hope to enact a new special interest session. This session would be geared mainly towards new members in addition to those new to the state conference. Do you remember your first time at the state conference? Did you know where to go or what to do? I seek to fix the chaos by helping students navigate their way through the conference. The session would include a guided tour of the premises as well as a brief run through of the conference schedule. Another proposal that I will strive to make is to allow members to see which projects win the events. Although everyone can see the projects during open viewing, no one knows which project won without some serious digging. A solution would be taking photos of all the events and then having the photos of the winners projected on the screen for all to see. 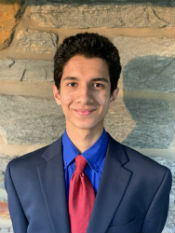 As your 2019-2020 PA-TSA Sergeant at Arms, I will seek to implement the above ideas to everyone. When it comes time to vote remember, you’ll be Startin’ Right with Martin! Hi PATSA, my name is Casey Sharpe and I am running to be your next state Sergeant-at-Arms. Honestly, if you’d asked me when I first joined TSA that if in four short years I’d be writing this statement, I’d think you were insane. However, this past year of serving as my chapter’s president has been pivotal in my growth as a person and a leader. While I didn’t initially join TSA for its leadership opportunities, they’re now what drive me to become as involved in the organization as I possibly can. I’ve held several local offices and have become a recurrent member of CSAC and various other state committees. These involvements have provided me with the opportunity to align myself with some of the most amazing, driven people I have ever had the pleasure of meeting. This initiated my belief that collaboration within the state is crucial for our success. Until recently, the only members outside of my chapter that I knew of were the state officers and those who got disqualified for the wrong colored socks. As Sergeant-at-Arms, I will work tirelessly to connect us as a state by promoting collaboration between chapters and their leaders. The workload of TSA alone whittles out enough people, but what’s left is a concentration of passionate leaders, most of which I have not yet had the pleasure of meeting. If you’re looking for a qualified and capable leader to represent you and unite the state: think sharpe and vote Casey Sharpe. “What often looks like ‘smart’ or ‘successful’, is really just a combination of a bit of interest and a lot of persistence” — inspired by Thomas Edison. Ny name is Udit Subramanya, and those are the words that I live by. 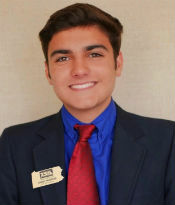 For the 2018-2019 PA-TSA state conference I am excited to be running as the Sergeant-At-Arms so I can share my words of wisdom with PA-TSA and help everyone reach their goals. I was originally lead to compete in TSA after My passion for VEX robotics. After competing in VEX robotics for 5 years, my perspective has shifted from simply winning, and more toward strengthening bonds with other competitors and serving as a strong leader for our team. My qualifications from VEX robotics help qualify me for this position since it helps with my organization and directions following skills, which are crucial for this position. If elected, one idea that I have is to digitize leap resume process. TSA is a club that is all about technology and exploring STEM fields. Yet we still have to turn in leap resumes in paper, in person. 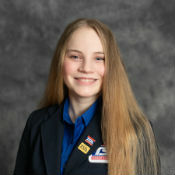 I hope to help create an online platform where each PA-TSA student has their own online profile. Members will be able to update and share their profile, while evaluators will have a more streamlined and organized process. On a final note, if you are interested in any of my ideas please feel to meet me at the conference to talk about them. © 2008 – 2019 Pennsylvania Technology Student Association and Foundation, Inc.